I feel so honored! Kim over at Dirty Diaper Laundry (a great blog about cloth diapering and EC) gave me this great “One Lovely Blog Award!” I’ve never recieved a blog award before, so Thanks! 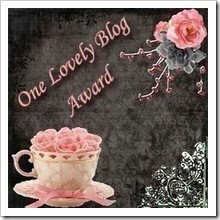 So now I get to pass the award onto 3 other lovely blogs! 1. Genie at The Blazi Gang. Geni is a friend of sorts, our hubbies were best friends in High School. We haven’t seen them in years but her blog is truly inspirational and I love seeing the kids. Go see what makes Genie so special. 2. Cindy Loo at A Day in the Life. Cindy is one of my dearest friends and I know she’d appreciate the visitors! She’s just getting her blog going and what better way to help her than by giving her a lovely blog award! 3. Melanie AKA Mommy Doodles! What can I say about Mommy Doodles? I love her dearly…I feel like we’ve known each other for years yet I’ve NEVER actually met her. She is the master mind behind the wonderful blog design you see here! 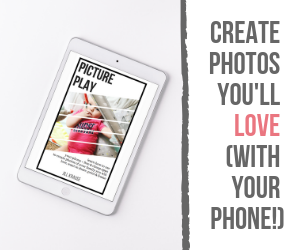 AND…she’ll make your blog beautiful too. Now you need to do the same. Share this lovely blog award with 3 people who inspire you! All my love and thanks again Kim for such an amazing honor! I will check out the first 2, but I, too, am partial to Mommy Doodles. If you remember, I won a blog redesign right here and it was done by Melanie? I LOVE IT! I am so glad I stopped by that day. And, she is a great lady. So, Congrats to you and to those you passed it to. Thanks for the award Calley:) What a blessing it was to recieve it. I love to blog and write…even if no one reads it…but it is cool to know that someone does:) Thanks again. You can go check out my site where I mentioned this lovely award…thanks again girl! Thanks so much for blessing my heart!